You have the will but you don’t know where to party? Wanna party on Tuesday? Tuesday night is good opportunity to party hard at Mr Stefan Braun nightclub. Hot spot for tonight’s fun is located at this venue. More than 15 years of work, well known for their amazing bartenders and cocktail shows. If you like good cocktails this club is a place for you. Party hard on Tuesday, gather your squad and go straight to the 9th floor where the magic happens. On the picture bellow you can see full schedule of awesome parties for this week in one and only Mr. Stefan Braun. Tuesdays in Belgrade are All Dizel night at Mr. Stefan Braun! Famous songs from the 90’s will take over the place from midnight till the early morning hours! If Dizel is not your cup of tea, don’t despair! They work every day of a week so you have a chance to pick your fav night! 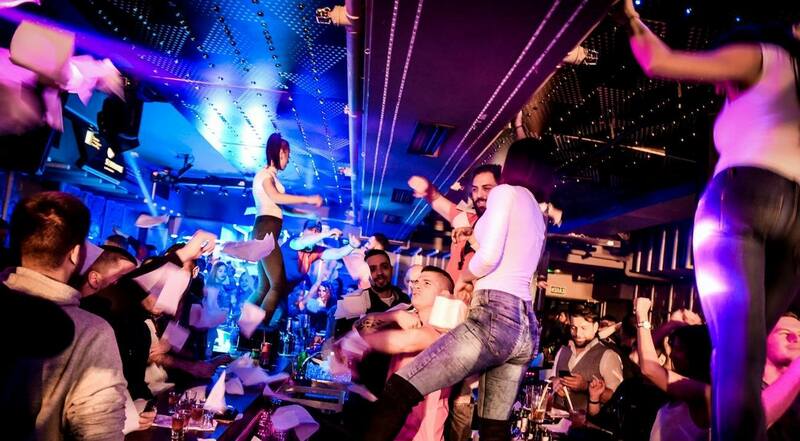 The best part of the club is central bar, where all the best bartenders in Belgrade are making unforgettable shows every single night!